After 5 hours of intense deliberation, Donald Trump and Kim Jung-un signed a denuclearization agreement that will bring North Korea to disarm from nuclear weapons and to peace between the two countries. With American and North Korean flags waving side by side during the Trump-Kim summit in Singapore, the two leaders signed a leather-bound agreement that will see both sides as winners. The sight of the flags side by side was not the only unthinkable event at the summit, as many people thought that the feud between the leaders and their countries will never result in them meeting face to face. After much deliberation and diplomatic attempts to bring the two together, President Donald Trump, and North Korean leader, Kim Jung-un met on Tuesday for the much-anticipated nuclear disarming talks. The talks ran long, but after 5 hours into the summit, both leaders came to an understanding and to an agreement regarding North Korea's Denuclearization. "We both want to do something. We both are going to do something. And we have developed a very special bond. So, people are going to be very impressed. People are going to be very happy," said Trump after his sit-down with Kim Jung-un. 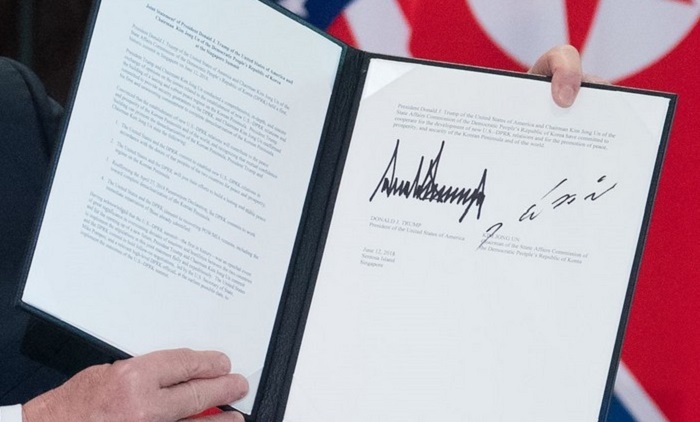 In the document signed and shown to the world, Kim Jung-un has "reaffirmed his firm and unwavering commitment to complete denuclearization of the Korean Peninsula." On the US side, Trump agreed to "provide security guarantees" to North Korea. 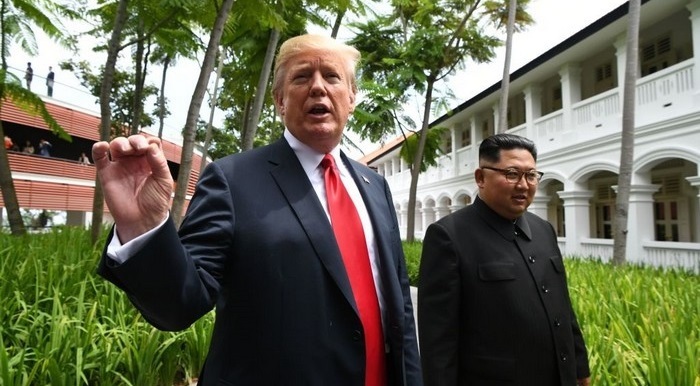 The agreement was not as expected, meaning it did not lead to the "complete, verifiable and irreversible denuclearization" of North Korea, but it was an unprecedented one in terms of US-North Korea relations. 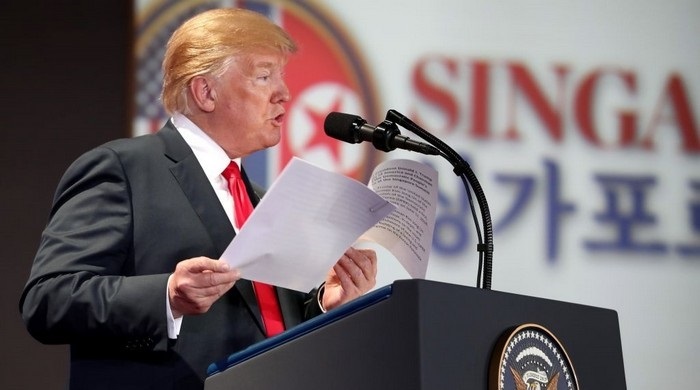 On the question of the American military presence in North Korea, Trump said in a press following the meeting with Kim that while that is not a part of the equation at the moment, the US forces will eventually pull out of the country. The North Korean leader also seemed pleased with the agreement, and now has more supporters worldwide following the meeting with Trump.